ASTM A193/A193M Standard Specification for Alloy-Steel and Stainless Steel Bolting Materials (Bolts, Studs, Stud Bolts)for High-Temperature Service. ASTM A320/A320M Standard Specification for Alloy-Steel and Stainless Steel Bolting Materials for Low-Temperature Service. 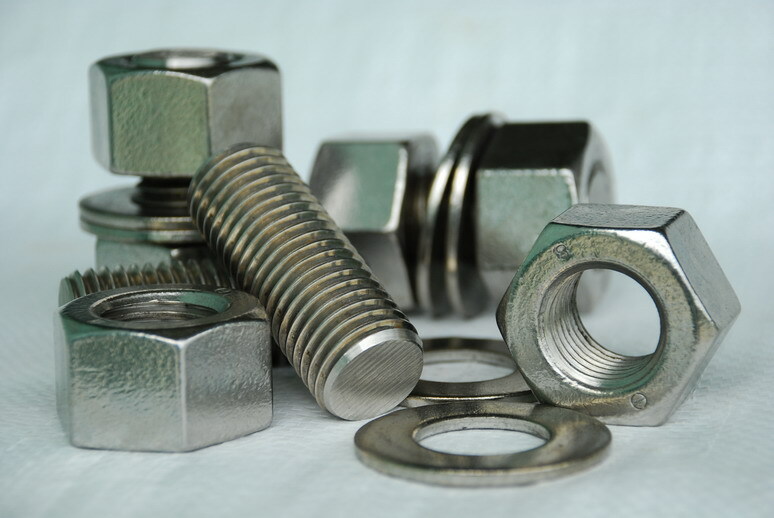 ASTM A194/A194M Standard Specification for Carbon, Alloy Steel and Stainless Steel Nuts for Bolts High-Temperature, Low-Temperature and High-Pressure Service. See Dimensions of Heavy Hex Nut in UNC and 8UN series. See Dimensions of Heavy Hex Nut in Metric series. ASTM A453/A453M Standard Specification for Bolting Materials, High-Temperature, 50 to 120 ksi (345 to 827 MPa) Yield Strength, With Expansion Coefficients Comparable to Austenitic Steels. ASTM A307 Standard Specification for Carbon Steel Bolts and Studs, 60,000 psi Tensile Strength. ASTM A325/A325M Standard Specification for Structural Bolts, Steel, Heat Treated, 120/105 ksi Minimum Tensile Strength. ASTM A153/A153M Standard Specification for Zinc Coating (Hot-Dip Galvanizing) on Iron and Steel Hardware.